Photo from the San Fransisco Examiner, 1938. Chaplain leading worship service (author’s collection). 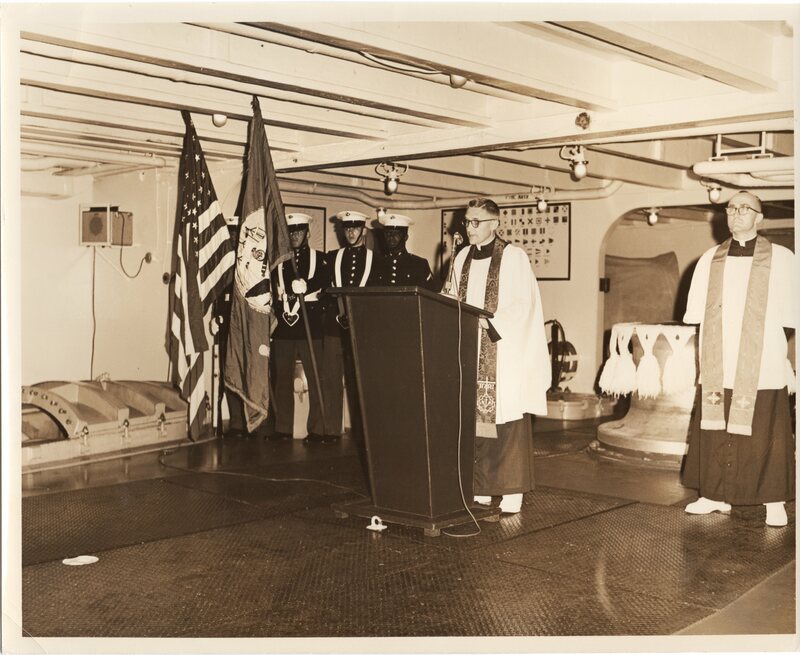 Unnamed chaplain on the USS Enterprise (CVAN 65), (author’s collection). 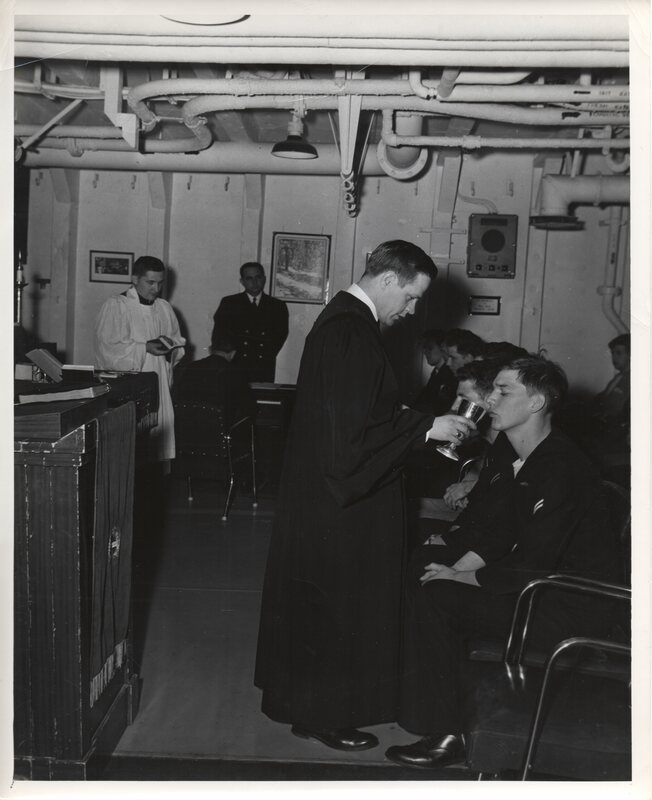 Unnamed chaplain on the USS Yellowstone (AD-27), (author’s collection).